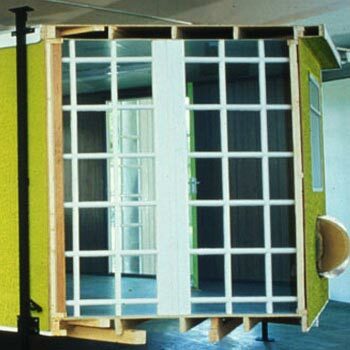 The installation comprised of the displacement of sections of the architecture of the gallery through the prefabricated architecture and techniques of the construction industry. 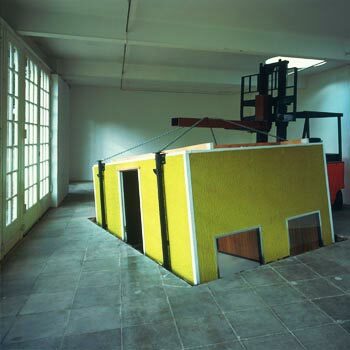 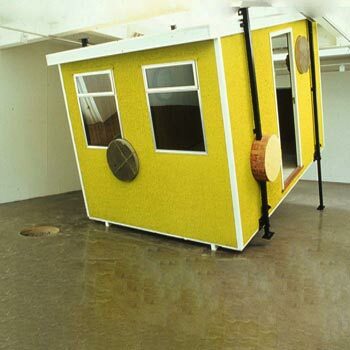 An industrial coring machine was used to remove cylinders of material from the gallery’s walls and floors which were subsequently inserted into the prefabricated site cabins. 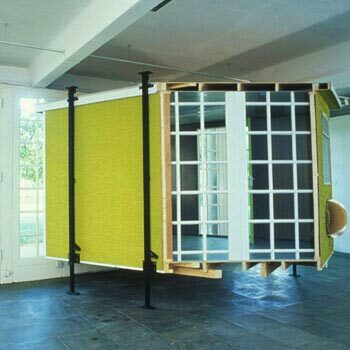 These cabins were themselves placed on, through or in the fabric of the gallery.